The Nutcracker was given its première at the Mariinsky Theatre in St. Petersburg on this date in 1892. It was a two-act ballet, originally choreographed by Marius Petipa and Lev Ivanov with a score by Pyotr Ilyich Tchaikovsky (op. 71). The libretto is adapted from E.T.A. Hoffmann’s story The Nutcracker and the Mouse King. It was featured on a double-bill with Tchaikovsky’s opera, Iolanta. Although the original production was not a success, the 20-minute suite that Tchaikovsky extracted from the ballet was. The complete Nutcracker has enjoyed enormous popularity since the late 1960s and is now performed by countless ballet companies, primarily during the Christmas season, especially in North America. Major North American ballet companies generate around 40 percent of their annual ticket revenues from performances of The Nutcracker. I think I succeeded to a degree and can write about it without doing harm to myself and others. I still don’t like the ballet much – disjointed and overly sentimental. But I understand why I liked the music as a youngster. The music of the second act is certainly evocative in places, with interesting (for the time), harmonies and tone colors. My old affection for the Arabian Dance returned, but the rest is still too sugary and overly familiar. After the success of The Sleeping Beauty in 1890, Ivan Vsevolozhsky, the director of the Imperial Theatres, commissioned Tchaikovsky to compose a double-bill program featuring both an opera and a ballet. The opera would be Iolanta. 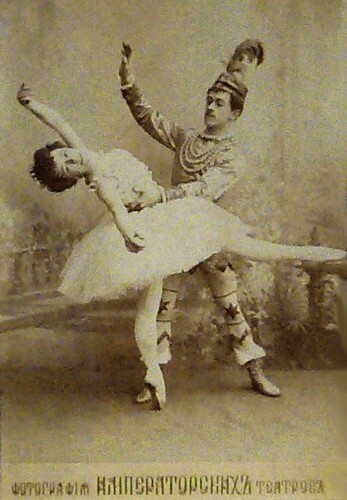 For the ballet, Tchaikovsky again joined forces with Marius Petipa, with whom he had collaborated on The Sleeping Beauty. The material Petipa chose was an adaptation of E.T.A. Hoffmann’s story The Nutcracker and the Mouse King by Alexandre Dumas père called The Tale of the Nutcracker. The plot of Hoffmann’s story (and Dumas’ adaptation) was greatly simplified for the two-act ballet. 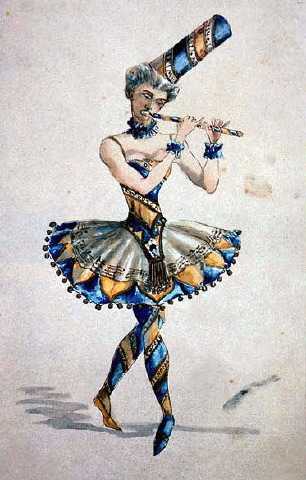 Hoffmann’s tale contains a long flashback story within its main plot entitled The Tale of the Hard Nut, which explains how the Prince was turned into a nutcracker. This had to be excised for the ballet. Petipa gave Tchaikovsky extremely detailed instructions for the composition of each number, down to the tempo and number of bars. The completion of the work was interrupted for a short time when Tchaikovsky visited the United States for twenty-five days to conduct concerts for the opening of Carnegie Hall and he composed parts of The Nutcracker in Rouen. 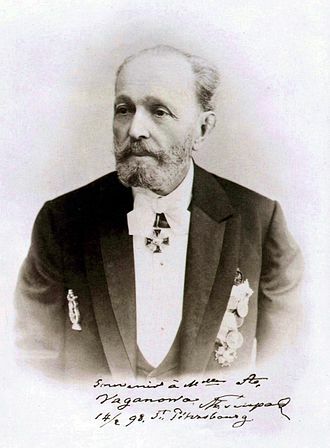 Although the libretto was by Marius Petipa, who exactly choreographed the first production has been debated. 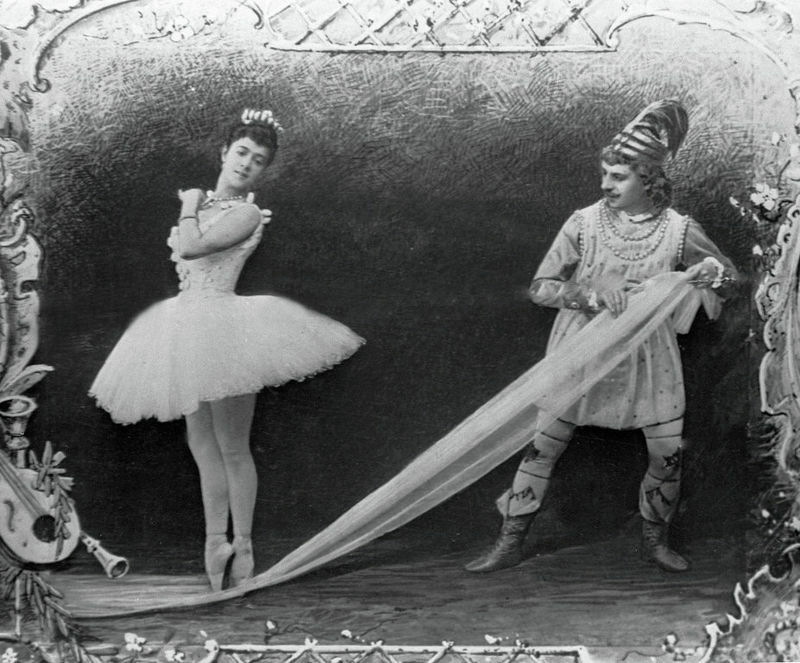 Petipa began work on the choreography in August 1892; however, illness removed him from its completion and his assistant of seven years, Lev Ivanov, was brought in. Although Ivanov is often credited as the choreographer, some contemporary accounts credit Petipa. The performance was conducted by Riccardo Drigo, with Antonietta Dell’Era as the Sugar Plum Fairy, Pavel Gerdt as Prince Coqueluche, Stanislava Belinskaya as Clara, Sergei Legat as the Nutcracker-Prince, and Timofey Stukolkin as Drosselmeyer. 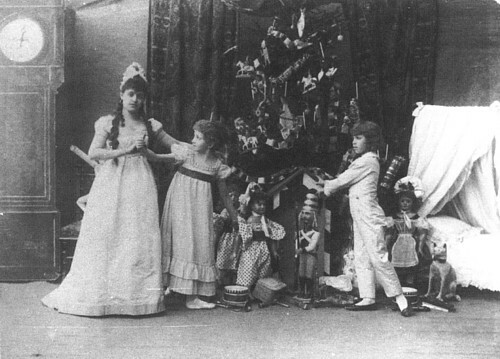 The children’s roles, unlike many later productions, were performed by real children rather than adults (with Belinskaya as Clara, and Vassily Stukolkin as Fritz), students of the Imperial Ballet School in St. Petersburg. The libretto was criticized for being “lopsided” and for not being faithful to the Hoffmann tale. Much of the criticism focused on the featuring of children so prominently in the ballet, and many bemoaned the fact that the ballerina did not dance until the Grand Pas de Deux near the end of the second act (which did not occur until nearly midnight during the program). Some found the transition between the mundane world of the first scene and the fantasy world of the second act too abrupt. Reception was better for Tchaikovsky’s score. Some critics called it “astonishingly rich in detailed inspiration” and “from beginning to end, beautiful, melodious, original, and characteristic.” But even this was not unanimous as some critics found the party scene “ponderous” and the Grand Pas de Deux “insipid.” My own response is much the same as these early critics, especially since I’ve suffered through too many performances using children dancers (to advertize my Conservatory’s money-making children’s dance school, and guarantee audiences of doting parents). 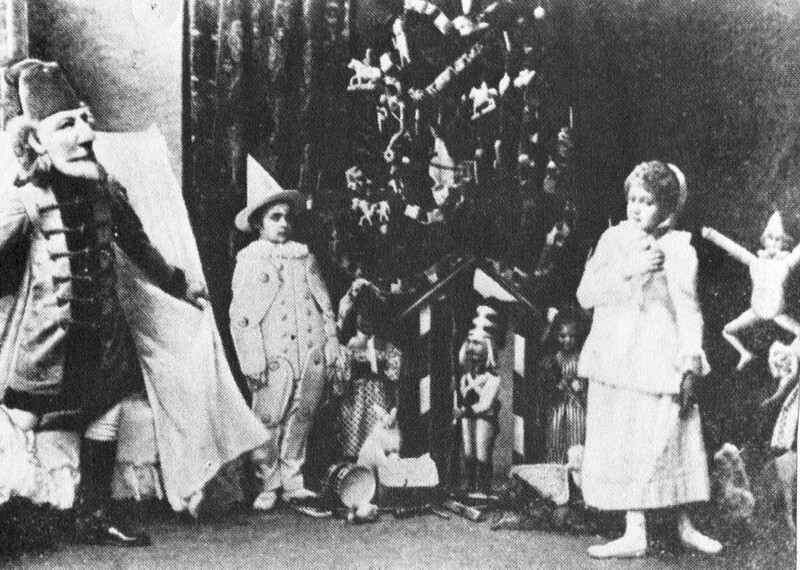 In 1919, choreographer Alexander Gorsky staged a production which eliminated the Sugar Plum Fairy and her Cavalier and gave their dances to Clara and the Nutcracker Prince, who were played by adults instead of children. His was the first production to do so. An abridged version of the ballet was first performed outside Russia in Budapest (Royal Opera House) in 1927, with choreography by Ede Brada. In 1934, choreographer Vasili Vainonen staged a version of the work that addressed many of the criticisms of the original 1892 production by casting adult dancers in the roles of Clara and the Prince, as Gorsky had. The Vainonen version influenced several later productions. Here is a synopsis based on the original 1892 libretto by Marius Petipa. The story varies from production to production, though most follow the basic outline. The names of the characters also vary. In the original E.T.A. Hoffmann story, the young heroine is called Marie Stahlbaum and Clara (Klärchen) is her doll’s name. 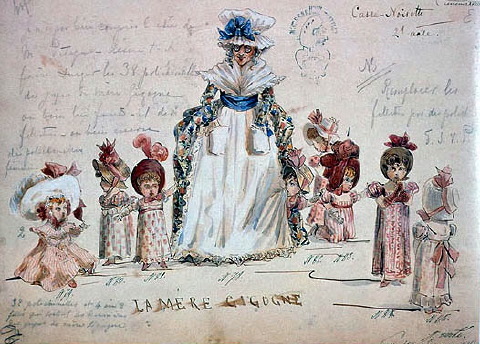 In the adaptation by Dumas on which Petipa based his libretto, her name is Marie Silberhaus. In still other productions, such as Baryshnikov’s, Clara is Clara Stahlbaum rather than Clara Silberhaus. It is Christmas Eve. Family and friends have gathered in the parlor to decorate the beautiful Christmas tree in preparation for the party. Once the tree is finished, the children are sent for. They stand in awe of the tree sparkling with candles and decorations. The party begins. A march is played. Presents are given out to the children. Suddenly, as the owl-topped grandmother clock strikes eight, a mysterious figure enters the room. It is Drosselmeyer, a local councilman, magician, and Clara’s godfather. He is also a talented toymaker who has brought with him gifts for the children, including four lifelike dolls who dance to the delight of all. He then has them put away for safekeeping. During the night, after everyone else has gone to bed, Clara returns to the parlor to check on her beloved nutcracker. As she reaches the little bed, the clock strikes midnight and she looks up to see Drosselmeyer perched atop it. Suddenly, mice begin to fill the room and the Christmas tree begins to grow to dizzying heights. The nutcracker also grows to life size. Clara finds herself in the midst of a battle between an army of gingerbread soldiers and the mice, led by their Tsar. They begin to eat the soldiers. The nutcracker appears to lead the soldiers, who are joined by tin ones and dolls who serve as doctors to carry away the wounded. As the Mouse Tsar advances on the still-wounded nutcracker, Clara throws her slipper at him, distracting him long enough for the nutcracker to stab him. Clara and the Prince travel to the beautiful Land of Sweets, ruled by the Sugar Plum Fairy in his place until his return. He recounts for her how he had been saved from the Mouse King by Clara and had been transformed back into his own self. In honor of the young heroine, a celebration of sweets from around the world is produced: chocolate from Spain, coffee from Arabia, tea from China, and candy canes from Russia all dance for their amusement; Danish shepherdesses perform on their flutes; Mother Ginger has her children, the Polichinelles, emerge from under her enormous hoop skirt to dance; a string of beautiful flowers perform a waltz. To conclude the night, the Sugar Plum Fairy and her Cavalier perform a dance. A final waltz is performed by all the sweets, after which the Sugar Plum Fairy ushers Clara and the Prince down from their throne. He bows to her, she kisses Clara goodbye, and leads them to a reindeer drawn sleigh. It takes off as they wave goodbye to all the subjects who wave back. 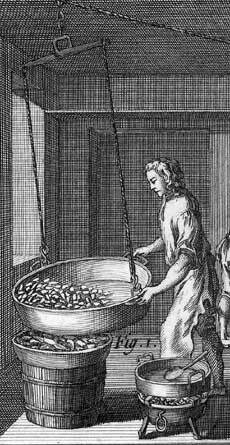 I gave a recipe for sugar plums in my post on Fantasia (http://www.bookofdaystales.com/fantasia/ ), but in doing a bit more digging, I find that there is more to their history than I originally thought. The recipe I gave there for a sweet, spicy mix of ground fruits and nuts is one of many possibilities (sometimes called Byzantine sugar plums), and it’s quite likely that in 19th century Russia sugar plums were hard sweets. 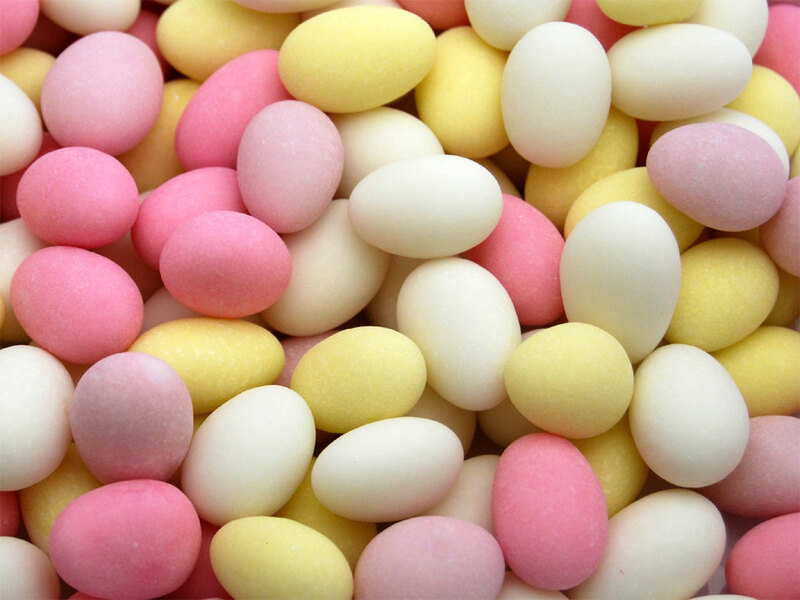 In England and elsewhere in Europe they could also be sugared almonds, known sometimes as Jordan almonds. Here’s a good video if you want to make them at home.